We lend Challah covers, kiddush cups, columns, platters, bowls, and more....for your kiddush, vort, l'chaim, sheva brachos, bar mitzvah... Donations obligatory. Proceeds to Tzedakah. Get more for your wedding! 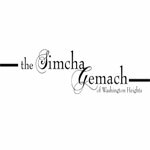 Don't forget to mention ChossonKallah.com when visiting Simcha Gemach of Washington Heights.